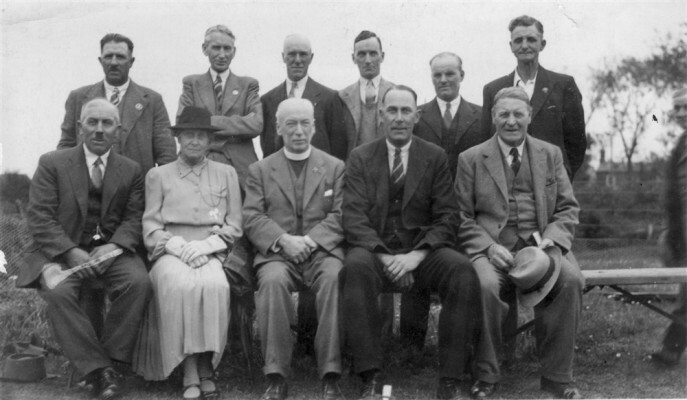 Canon Blackmore is seen seated at the centre of the front row of a group of ten village people. Back row, LtoR, ? , / , Mr Jack Ravel, mr Topps, ? , Mr Sid Culpin.